Does your kids’ school do anything to celebrate Chinese New Year? Each year, I’ve volunteered to bring some treats or read a story with my sons’ classes, because I think it’s important to share our culture with the larger school community. Teaching others about our traditions helps foster understanding and tolerance for different cultures and also gives my kids a sense of pride in their own heritage. However, I’ve seen decorations and materials for Chinese New Year that feature chop stick lettering and outdated stereotypes, such as coolies with queues. Party supply stores can sometimes be the biggest violators in this area! Perhaps this is obvious to many of you, but some people might not be aware that they are actually perpetuating stereotypes in the attempt to foster cultural diversity. Chinese New Year brings out the jerks who think they need to bow and yell “Gung hay fat chow!” at every Asian person. Remember, young children are like little sponges that absorb what they’re exposed to. So put away your fans and gongs, and certainly don’t put any chopsticks into your hair. Teaching kids accurate and respectful representations of culture is something we can all do. The display above was created by another parent several years ago for an event at my kids’ preschool. While the maneki-neko, or “lucky cat”, is gaining popularity in some Chinese diaspora countries such as Taiwan, it’s a traditional icon, and the Japanese celebrate the new year on January 1, not on the Lunar New Year. While teachers sometimes have a short lesson or a story planned for the holiday, I’ve never come across an educator who hasn’t welcomed a parent who volunteers to bring first-hand knowledge of cultural traditions to share with the students. Because of language barriers or unfamiliarity with the American school system, some more recent Asian immigrant parents might not feel comfortable to volunteer in the classroom, but if you have the time and the ability, it’s a great opportunity to be a role model. 1. Decorate Kids are visual learners and notice things even adults don’t. Consider using banners or signs featuring the zodiac animal of the upcoming year, which can often be purchased at Asian grocery stores or shopping malls. Red banners featuring Chinese poetry in gold characters are also a popular way to add a festive touch. If you don’t have access to those decorations, even simple red streamers or homemade lanterns can be appropriate. 2. Read There are many picture books dealing with the Lunar New Year (remember, many Asian societies celebrate this holiday, also called Tet in Vietnamese or Seollal in Korean). See my list of Chinese New Year books for kids and also chapter books for older kids. Also, consider books such as Ten Mice for Tet or New Clothes for New Year’s Day, which is set in Korea. 3. Make You don’t need to go to a specialty store to decorate for the new year. I’ve made paper lanterns, banners and puppets just with construction paper and glitter. Lucky Bamboo Book of Crafts offers some easy projects for kids as young as three, complete with templates for many of them. 4. Give Traditionally, cash — preferably crisp bills — in a hong bao (red envelope) is the gift for Chinese New Year. I know many Americans feel uncomfortable about giving money, but in many Asian cultures there is not that stigma associated with cash gifts. One dollar would be plenty if you’re distributing to every child in the class. It’s hard for kids to resist opening the hong bao right away, but explain that the envelopes are supposed to be opened after the giver is no there. 5. Eat delicious snacks for the new year. While ubiquitous at Chinese restaurants in the United States, fortune cookies are not a traditional Chinese food. Dumplings represent prosperity. If you don’t have time to make them from scratch, you could cook the frozen potstickers sold in big bags at Costco, or even order them from a restaurant. Noodles represent long life. Plain wheat noodles seasoned with a little soy sauce and sesame oil would be a good for young kids. Oranges and tangerines symbolize luck and their bright color is reminiscent of gold. Many kids love the easy to peel mandarins that come in big boxes, so they’d make a healthy classroom snack. Candy in shiny red and gold wrappers or chewy White Rabbit are sweet — literally, and figuratively. Chocolate coins or individually wrapped gummy candies in flavors like lychee or mango might also be a fun choice. 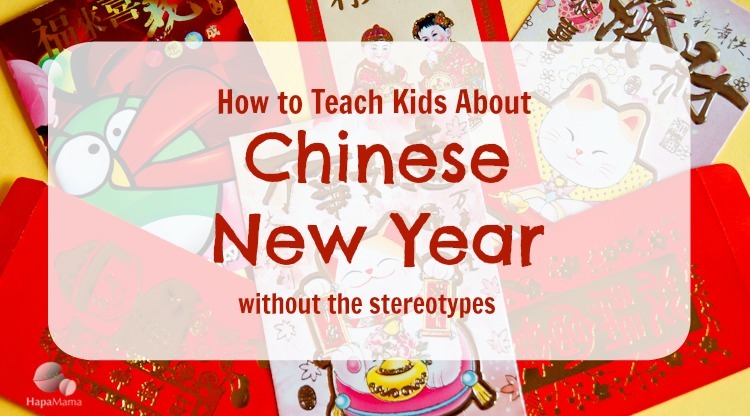 I hope these tips help you to teach about Chinese New Year in class. Have any questions or suggestions? Please leave them in the comments, and I’ll try my best to answer. Follow Grace’s board Chinese New Year on Pinterest. This is great thank you. I am one of the parents hosting a Chinese New Year celebration at my daughters school and these are some great ideas. I could not agree with you more about stereotypes. Also in my childhood my parents tried hard to help us be a part of our American community, we didn’t spend much time celebrating it learning our Chinese traditions. As I raise my children I am trying hard to learn and teach them this. Nice! My kids are half Chinese and I try to teach them about their Chinese culture and heritage as part of our homeschool adventures. Unfortunately I am not the Chinese parent! I am always trying to learn more about Chinese culture and traditions so thanks for the tips here and in the other article. Helpful! Thanks so much for this! I’ve been trying to decide what to include in our classroom for Chinese New Year. This helps a lot! This gels well with what the kids are learning at school in Singapore (Spring Festival is big here, naturally) although they also seem to be big on promoting the Spring Clean. At least a couple of parents are getting lectures from their kids about decluttering and mopping the floors in the lead up! The lucky cats are popular around here, too, but not as a Chinese New Year decoration. Thank you for these helpful tips and valuable info. It’s nice of you to put together all these. Chinese New Year has many beautiful traditions and more people should be made aware of that. Thanks for sharing, Grace! What a great way to educate parents (and me!) on the Chinese New Year. 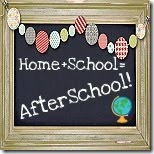 Thank you for sharing at the After School Link Up! Thank you for this. I’m doing a Lunar New Year celebration in my son’s kindergarten class next week. Half his class is Asian, but its hard to find anything on the new year that’s not completely Chinese-centered. Glad I found your resources on Korean books, etc. You may also be interested in my friend Phyllis Myung’s blog Napkin Hoarder, as she often writes about Asian holidays from a Korean American perspective.Thanks for visiting! When I did presentations on Chinese New Year at the elementary schools, I made it an opportunity to share other aspects of the Chinese culture. I did a powerpoint presentation that described why and how the Chinese immigrated to the United States. I introduced I.M. Pei, Vera Wang, Connie Chung, Dr. An Wang, Michael Chang and Lang Lang. The powerpoint presentation is a fantastic tool because I was able to download a concert featuring Lang Lang playing the piano accompanied by a Chinese musician playing the ehru. The students were enthralled by the performance. I also included the story of Chinese New Year via You tube, and closed the presentation with a video of the lion dance – one traditional and the other hip hop. The students started dancing to the latter. I want to thank you for this article because many of us agree that it is important that the young generation learns the contributions the Chinese have made in American history. Let’s use Chinese New Year to share our heritage. A great post! Note: The many Asian cultures that celebrate the lunar new year at the same time (Chinese, Korean, Vietnamese, Mongolian, Tibetan) have a “cleansing” aspect–cleaning the house, new clothes, etc. to represent a fresh start. Other Asian new year celebrations that take place in April, such as the Thai and Cambodian new year, also focus on washing (or spraying water and/or baby powder). Goodness knows, EVERYONE can use a fresh start any time of the year–and any excuse to get kids cleaning up is ALWAYS welcome! Thank you in advance, Grace, for sharing THIS NEXT NEW YEAR with your son’s class! One of the best things about writing that book is that I will forever feel accountable for being true to my words and cleaning my house each lunar new year. Note: this book was originally published in English only by FSG but is now available in 3 versions: the original English-only version plus Chinese bilingual and Korean bilingual versions. The book’s illustrator, Yangsook Choi, did the Korean translation. The Chinese translation was done by a team of librarians led by Minjie Chen of Princeton University’s Cotsen (Children’s) Library. PS, I gave a copy of the book to my brother’s kids as they are Korean and Chinese, and this is the only book I’ve ever seen with a character of that ethnic makeup.